BIPEX couplings are used for all mechanical engineering purposes where an uninterrupted transmission of power is required even in the presence of unavoidable shaft misalignments. 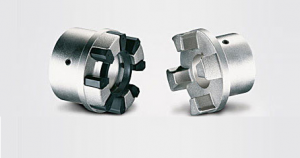 BIPEX couplings are particularly suitable for the connection of driven machines with uniform torque loads. They have a very low circumferential backlash and can be used for any inclined mounting position. The cam ring is mounted with low backlash and achieves progressive torsional stiffness, where torsional stiffness increases in proportion to capacity utilisation. The Bipex coupling is particularly well-suited to electric motor drives which have a uniform torque load and are well aligned. They are positive-locking and torsionally flexible thanks to the polyurethane cam ring, with shaft misalignment resulting in deformation of this ring.